Don't forget to post the date and route information along with the meal information! With that, Let's Eat 2018! Still no champagne listed. Have no clue why this is such an issue for them! Costs too much, no doubt. C'mon, this is the norm for UA. Boldly announce Polaris and all its frills a year ago and deliver on how many AC? So what if "champagne" is declared on the wine list? Doesn't mean UA is going to offer it on YOUR flight. On Board of IAD-PEK flight now....the wine menu is back. I will post photos when landed. I’m frightened to say it, but it almost appears that there is a small upgrade in the wines — I’m a fan of the Landmark Overlook Chardonnay ... we’ve gone from the $12 retail Chardonnays to the $20 bucket. Never tried it but at retail it's in the $20 range. We'll see if this holds for other menus - list the cheaper one first, put a nicer one below it on the list. It's a new year new budget. Once they realize they're over budget around mid Q2 the cuts will come again. Enjoy it while you can! correction and truncated like this. I find it OK, very drinkable but nothing extraordinary. 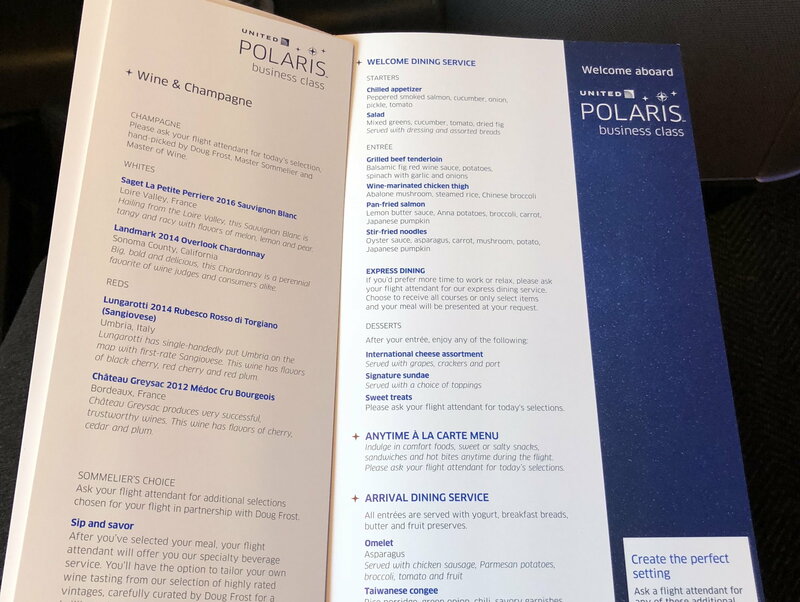 It's interesting that the menu says Polaris business but the wine selections line up with the Polaris first class wine menu on their website (https://www.united.com/CMS/en-US/tra...sWineMenu.aspx).